Meredith Oliver, the Social Media Queen, has one of the best most info-filled blogs in the homebuilding industry. Here are two of her recent posts on maximizing facebook use for your business. Subscribe to Meredith’s blog at http://thedigitaldivablog.com/. A few days ago I presented ”The Fan Factor” at the Pacific Coast Builders Show, Professional Women in Building Luncheon in San Francisco, CA. In my keynote, I explain what rock stars, politicians, major sport stars, and your business have in common. You should all have loyal, passionate fans! If you are still wondering how to create and engage such a fan base, you can download my book and take a few pointers from The San Francisco Giants, a major league baseball team in California. The SF Giants have mastered the art of creating a fan experience. Their stadium is the most photographed and shared on Instagram and their social media networks are constantly abuzz with fan engagement and interactions. Their Director of Social Media Bryan Srabian recently talked with Revolution about the success of the baseball team’s social media campaigns. You can watch the video here. How can you create a similar social media success with your own fans? Create a worthy fan experience of your own with these 6 tips. Share your own ideas or tips with me on Facebook. How has an interactive fan experience changed the way your company or brand engages with your online fans? 1. Keep your content fun. The San Francisco Giants keep their social content fun and interactive. They run social campaigns about voting for your favorite player, live auctions of goodies the players’ wives make to generate money for the team and charity, and encourage play by play action of each game. How can you keep your fans interested in your content by making it more fun to interact and engage with your brand? 2. Connect in real time. The San Francisco Giants also constantly connect with their online community and fan base in real time. They encourage the social sharing of pictures, videos, tweets, Facebook updates, and more. They share play by plays of the game and what is going on in the players’ lives. Want to connect with your own fans in real time? Tweet about your live events as they happen and share your own photos, videos, etc. pre and post event. 3. Create shareable moments by listening to your fans. Know your audience. Why are they posting about your company or brand? What about your company or brand makes them want to share pictures, updates, etc. with their social networks. Once you know why they are posting, you can create more of those post-able moments and encourage more social sharing amongst your fans. 4. Show your passion. The passion and enthusiasm you have for your company, brand, and fans is contagious. If you love what you do, other people will too. Make your posts, updates, and content exciting. Let that passion shine through. 5. Rally the community through live experiences. The San Francisco Giants know that nothing brings a community together like a live baseball game. No online experience can compare to actually watching the game in person at the stadium. Host a live event of your own to draw your fans from the virtual world to the real world. Create the same buzz and excitement for your own brand. 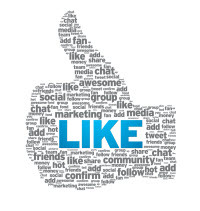 Want more fans on your Facebook page or visitors to your blog? Try running a Facebook contest! Most people like to win prizes and many will participate in a contest if the reward is significant. Facebook contests are great for building buzz about your brand and for making your content visible in the news feed of your fans. The more times your content is seen in the news feed, the more opportunities you have to garner more fans. Offering a great prize is also a perfect way to draw in new people to like your page. However, there are some important rules to keep in mind about conducting a contest or sweepstakes on Facebook. The first is that the contest must be administered through a third-party app. There are companies out there who will do it for you, such as Wildfire or Strutta, or you can use your own iFrame through an app like Static HTML. On the other hand, if you’re giving away a free ebook or coupon code, and EVERYONE gets one, it’s ok to promote that on your Timeline. Promotions on Facebook must also include an acknowledgment that it is in no way sponsored, endorsed or administered by, or associated with, Facebook. You also can not just have people like your page to automatically be entered to win. There must be additional steps involved, such as filling out an entry form. To view the complete rules, visit Facebook’s guidelines page. Creating WOW recently helped one of our clients, Arborpoint Apartments, with a Facebook contest. The prize was a $200 American Express Gift Card. To enter the contest, you had to say why you loved living at Arborpoint in 60 characters or less. Fans had one week to submit entries, and one more week to vote for their favorite entry. The Facebook post with the most “likes” won the prize. The contest generated 38 new likes to Arborpoint’s page, and 941 visits to the page during the campaign. In addition, 2,262 unique users on Facebook saw content associated with the page, and Arborpoint had more than 13,000 content impressions. The contest was also promoted on Arborpoint’s blog, and during that time traffic to the blog doubled. 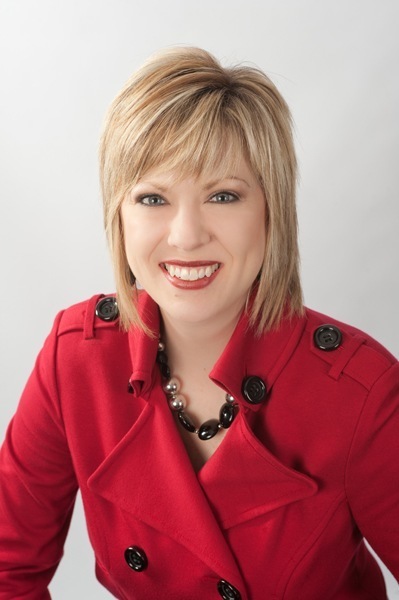 Bio: Meredith Oliver, aka The Digital Diva, is an Internet sales and marketing expert. She is a professional speaker, consultant and author. She is the founder and president of Creating WOW Communications; a Web marketing and sales training company delivering services such as website development, search engine optimization and social media marketing. Meredith is a published author of two books, Click Power and The Fan Factor. Both books are available at CreatingWOW.com and at her seminars.